It’s day eight of the government shutdown, and an estimated 800,000 people who work for the U.S. government are feeling the impact. In many offices, contracts are on hold, travel plans have been canceled and paychecks have been stopped as President Donald Trump and congressional Democrats continue their standoff over Trump's $5 billion border wall proposal. This is actually the third government shutdown this year; the government shut down for three days in January during a stalemate between Republicans and Democrats over the future of Dreamers, young undocumented immigrants brought to the U.S. as children. The government also shut down for almost nine hours while it was technically out of money in February. But this is by far the longest shutdown of 2018. Earlier this week, an estimated 420,000 employees reported to work without getting paid, and many of them had to cancel their holiday plans to do it because of rules that cancel annual leave for "essential" employees in the event of a shutdown. If the shutdown continues, more than 420,000 will still be working without pay on New Year's Eve this Monday. Overall, nine federal departments and dozens of smaller agencies have been shuttered. There are a couple of agencies, however, including the Department of Veterans Affairs and the Defense Department, that won't be impacted because they are funded through Sept. 30, 2019. But for many others, the impact is already being felt. Here is how the shutdown is impacting federal employees by the numbers, according to estimates by the Senate Appropriations Committee. -- 2,614 Bureau of Alcohol, Tobacco, Firearms and Explosives (ATF) agents. -- 16,742 Bureau of Prisons correctional officers. -- 3,600 Deputy U.S. Marshals. -- 4,399 Drug Enforcement Administration (DEA) agents. 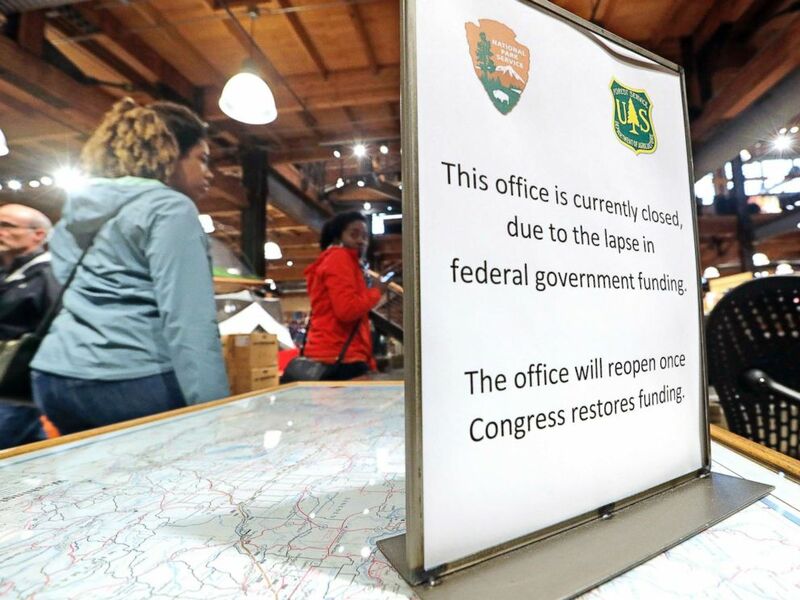 REI Co-op customers walk past an unstaffed ranger station kiosk, closed as part of the federal government shutdown, inside the flagship store in Seattle, Dec. 26, 2018. -- 54,000 Customs and Border Protection agents and customs officers. 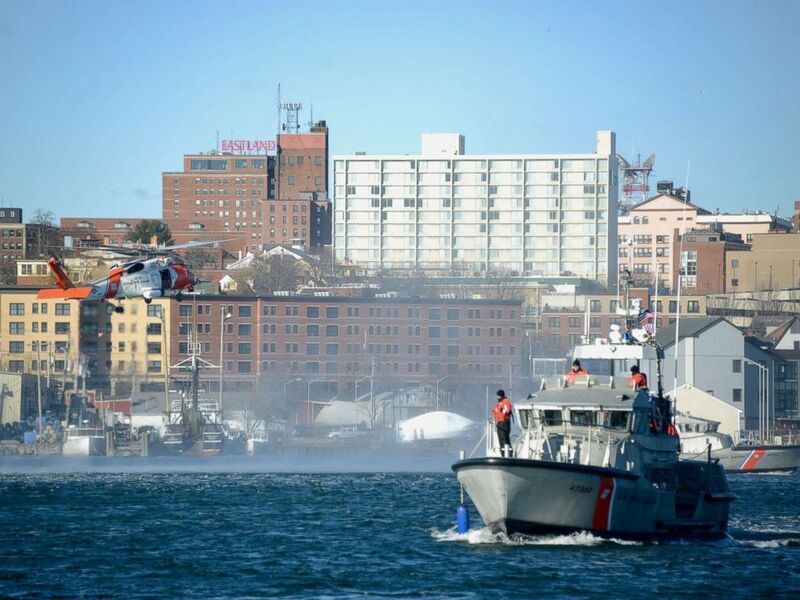 -- 42,000 Coast Guard employees. -- As many as 5,000 U.S. Forest Service firefighters. -- 3,600 National Weather Service forecasters. -- 86 percent of Department of Commerce, about 41,000 staff members. -- 96 percent of NASA, about 16,700 staff members. -- More than 80 percent of the National Park Service, about 16,000 staff members. -- At least 80 percent of the Forest Service, about 28,800 staff members. -- More than 30 percent of Department of Transportation, about 18,300 staff members. -- 95 percent of Department of Housing and Urban Development (HUD), about 7,100 staff members. -- Approximately 52,000 IRS staff members. -- 1 national zoo (in Washington, D.C.) will close Jan. 2 if there is no resolution before then. (Don’t worry about the animals though; the National Zoo said the care and feeding of animals will always continue even without funding). 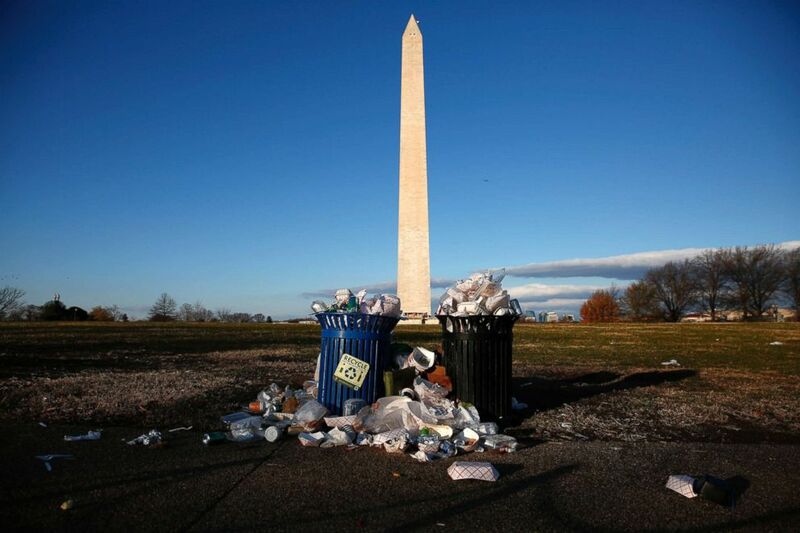 -- 19 Smithsonian museums (in Washington, D.C. and New York) will close Jan. 2 if there is no resolution before then. 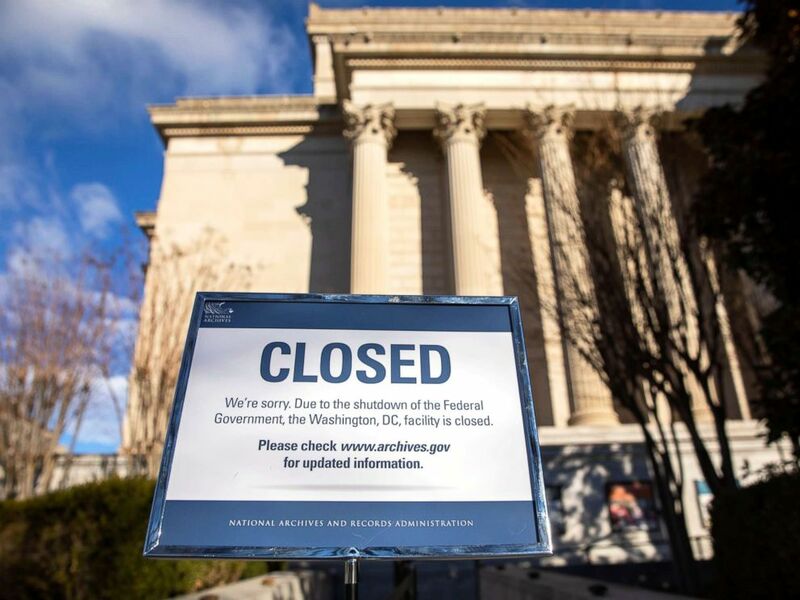 A sign announces the closure of the National Archives building in Washington, D.C., Dec. 22, 2018. ABC News' Bopha Phorn contributed to this story. This report was featured in the Monday, Dec. 31, 2018, episode of ABc News' daily news podcast, "Start Here."